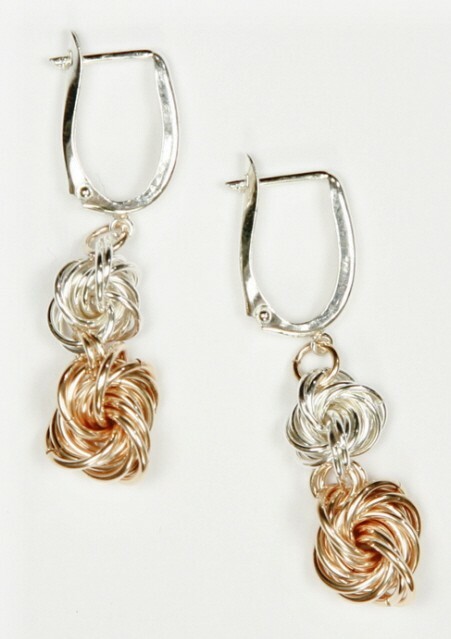 The Double Love Knot Earrings are a beautiful pair of earrings to wear. They are light and comfortable. The use of the two tone is very striking, although you could make them in a single color. This is a beginner weave. Sterling silver plated or gold plated leverback earring findings are included in the kit.